Triangular voltage ramp signal with programmable peak and valley voltages. The duty cycle of the ramp is 50%. 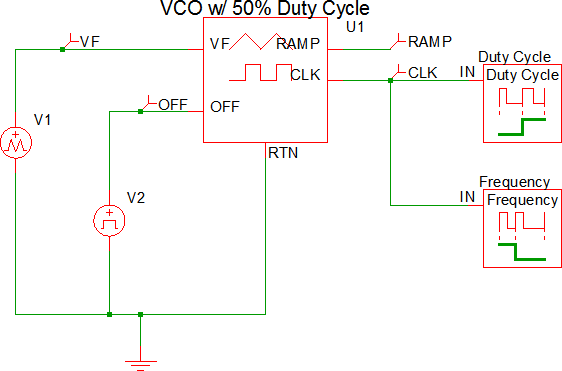 Clock signal with 50% duty cycle. 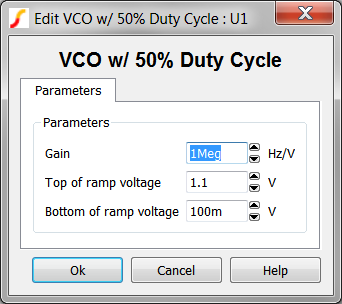 For a VCO with a programmable duty cycle, see the Voltage-Controlled Oscillator w/ Programmable Duty Cycle topic. OFF I On/Off control voltage for the oscillator, positive logic Oscillator runs when OFF voltage signal is less than 2.0V. 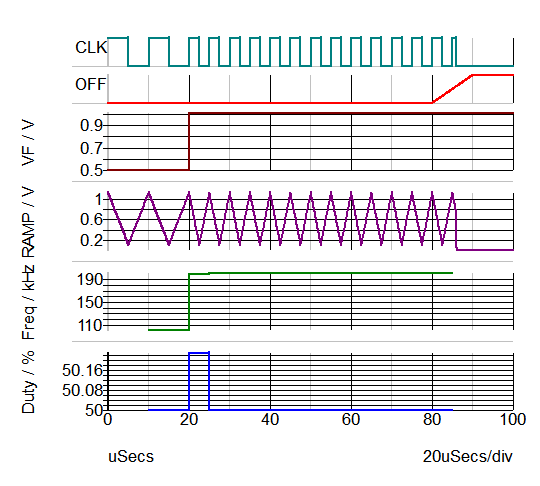 Once the oscillator stops running, it restarts when the voltage at the OFF pin drops below 2.0V. The clock frequency is controlled by the VF input. The test circuit used to generate the waveform examples in the next section can be downloaded here: simplis 073 vco 50 duty.sxsch.